About the Winnebago: The Winnebago were originally an eastern woodland tribe who called themselves Ho-Chunk, or “People of the First Voice.” In 1634 the Tribe was 25,000 members strong. However, a smallpox and measles epidemic following the Winnebago’s first encounter with European travelers nearly wiped out the Tribe. Remaining tribal members were forced to migrate to Iowa, then on to Minnesota, South Dakota, and Nebraska. At present, one Winnebago tribe lives on the Reservation in northeastern Nebraska and the other lives in Wisconsin. History: The Winnebago signed their first treaty with the United States Government in 1816 and signed cession and boundary treaties during the 1820’s and 1830’s. These treaties resulted in the loss of most of the tribe’s land. Between 1840 and 1863 the Winnebagos were moved five times. They were pushed first to northeastern Iowa, then to Long Prairie, Minnesota, then to Blue Earth, Minnesota, then to Crow Creek, South Dakota. In 1865, after the constant upheaval cost 700 tribal members’ lives, the current Winnebago Reservation in Nebraska was established by the treaties of 1865 and 1874. The tribe lost more than two-thirds of this land in the General Allotment Act of 1887. By 1913, only 120,000 acres of cropland, woodland, and pasture remained. The tribe is federally recognized and organized under the 1934 Indian Reorganization Act. The Winnebago Tribe established a constitution in 1936 which was amended in 1968. Life: Today, approximately 2,600 people live on the Winnebago Reservation. Nearly 30% of the population lives in the Village of Winnebago, which is the largest community on the Reservation. 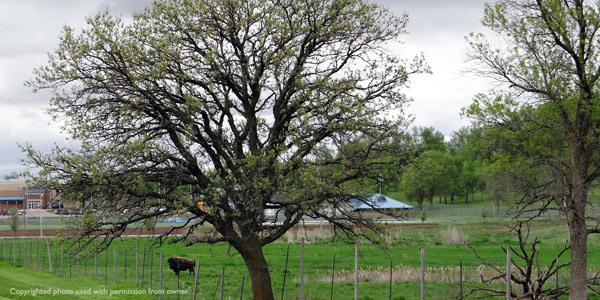 Only one-third of the Reservation acreage is currently owned by the tribe and individual tribal members, and non-tribal members farm much of this land. The Winnebago tribe operates a casino, which is the single largest employer on the Reservation. 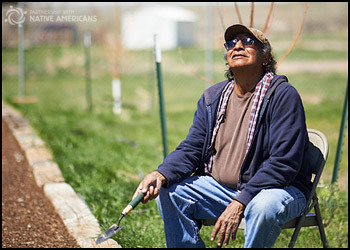 Farming, ranching, and the federal and tribal governments also employ a small number of tribal members. This limited economic activity falls far short of meeting the needs of the Reservation’s residents. Unemployment on the Reservation is high, and more than 40% of Tribal members live at or below the poverty level. Winnebago on the map: Northeastern Nebraska.